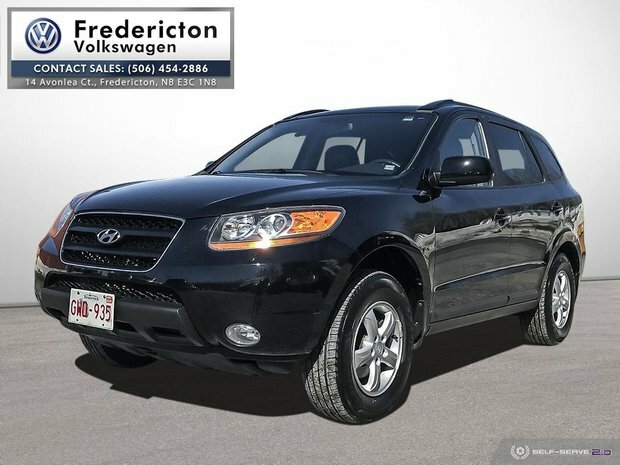 2009 Hyundai Santa Fe GLOdometer is 5802 kilometers below market average! 3.3L V6 DOHC AWD 5-Speed Automatic with ShiftronicAWD, Black Leather, 4-Wheel Disc Brakes, 6 Speakers, ABS brakes, Air Conditioning, Alloy wheels, AM/FM radio, Anti-whiplash front head restraints, Brake assist, Bumpers: body-colour, CD player, Driver door bin, Driver vanity mirror, Dual front impact airbags, Dual front side impact airbags, Electronic Stability Control, Four wheel independent suspension, Front anti-roll bar, Front Bucket Seats, Front fog lights, Front reading lights, Heated door mirrors, Heated front seats, Illuminated entry, Leather Seat Trim, Leather Shift Knob, Leather steering wheel, Multi-Adjustable Heated Front Captain Chairs, Occupant sensing airbag, Overhead airbag, Overhead console, Panic alarm, Passenger door bin, Passenger vanity mirror, Power door mirrors, Power driver seat, Power steering, Power windows, Rear anti-roll bar, Rear window defroster, Rear window wiper, Remote keyless entry, Roof rack: rails only, Security system, Speed control, Speed-sensing steering, Split folding rear seat, Steering wheel mounted audio controls, Tachometer, Telescoping steering wheel, Tilt steering wheel, Traction control, Trip computer, Variably intermittent wipers. Financing available. Give us a call (506-454-2886) drop by, or visit our website to book a test drive. www.frederictonvw.com. Ask about our "OUT OF TOWN BUYER'S PROGRAM". 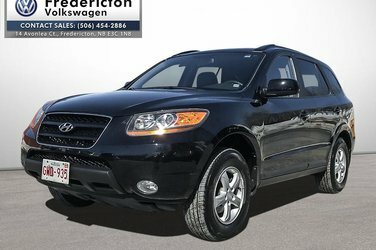 Want to try the 2009 Hyundai Santa Fe GL 3.3L V6 AWD at?